Michael Levine’s Sweetens the Deal: Low Price Valentine’s Crafting Supplies and Valentine’s Day Projects! Valentine’s Day and the month of February is always the time of year that we reflect on love and the special people we’ve been blessed with in life. Although many people would argue that Valentine’s Day is a Hallmark holiday, that could be said for any holiday. 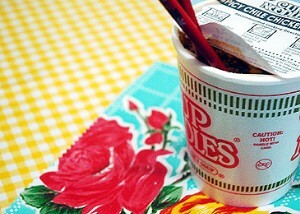 The true values of a celebrated day are becoming more and more clouded by the commercial world. Crafting, however, and making gifts from your heart are a sure way to hold onto what’s real and meaningful on Valentine’s Day, and what is priceless and cannot be bought: LOVE. I’d like to share a couple of projects I’ve come across or made myself, that are prime examples of a perfect Valentine. You don’t even have to make anything functional; throwing together some nice materials in an artistic way with a lovely sentiment attached is really all you need to show somebody your admiration. I just think this is so adorable and every little stitch and detail shows dedication and time. You could very easily embroider a sweet message onto the back – and voilà! Love delivered! You can shop our collection of eco-friendly felt, perfect for a variety of holiday crafts, here. My next suggestion is something for the kids. My mother always supervised the making of home-made valentines for us to distribute to our classmates. Heart shaped doilies, Valentine’s fabric, some lace trim, red and pink construction paper, pinking shears, a bottle of Fabri-tac, and perhaps a little glitter is all kids really need to get crafty and show some love to their classmates. When I think of store-bought Valentines, I think of that song “Can’t Buy Me Love.” There’s just so much more dedication and affection that come with home-made Valentines. Plus, kids will love crafting their own Valentines, it will keep them out of your hair for an hour or two, and every one is happy! These are just a few of the many Valentine’s items we at Michael Levine’s have just added to our online store, www.LowPriceFabric.com! One more thing for the kids – or anybody for that matter – is a simple ribbon bracelet accented with a ‘diamond’ heart charm. 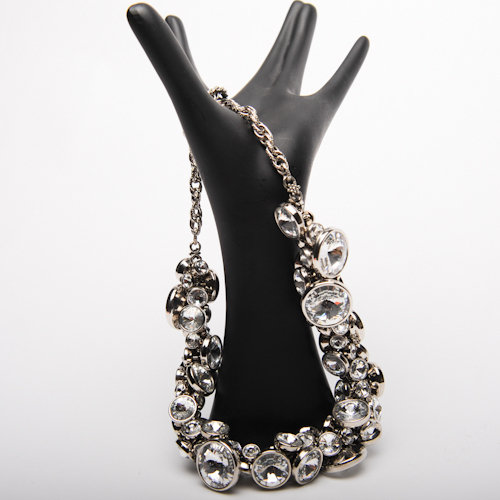 You could add a clasp and it’s done! This last project – I cannot take credit for, but – is certainly worth highlighting, is this lovely Heart-Shaped Mailbox for Valentine’s Day deliveries. This is a great idea for kids or teachers who want a fancy little place to receive their Valentines. 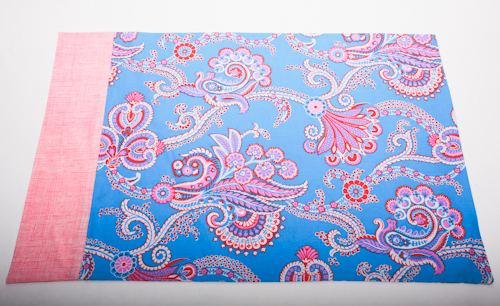 Again, this project would be a nice use for many of our Valentine fabrics (some are priced as low as $4.00 a yard! ), and you could always trade out the scalloped edge for some lace or eyelet trim! So whatever your Valentine’s Day plans are, and whoever receives your affection on this special day of love, hopefully you’ll find a place in your heart for some good, old-fashioned meaningful home-made gifts! 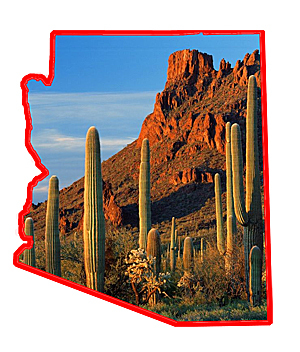 And if not, if Valentine’s Day just isn’t your thing, you can always show some love for Arizona, whose Centennial Celebration of Statehood is this February 14! 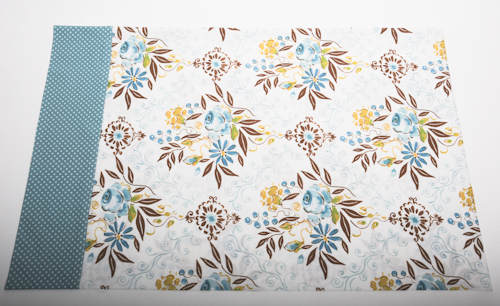 Rest Your Head On A Personalized Pillowcase! 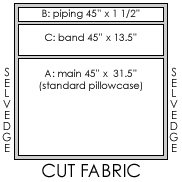 Before you begin, be sure to choose fabrics that are 45″ wide, 100% Cotton. You may also want to pre-wash and dry your materials to prevent uneven shrinkage. 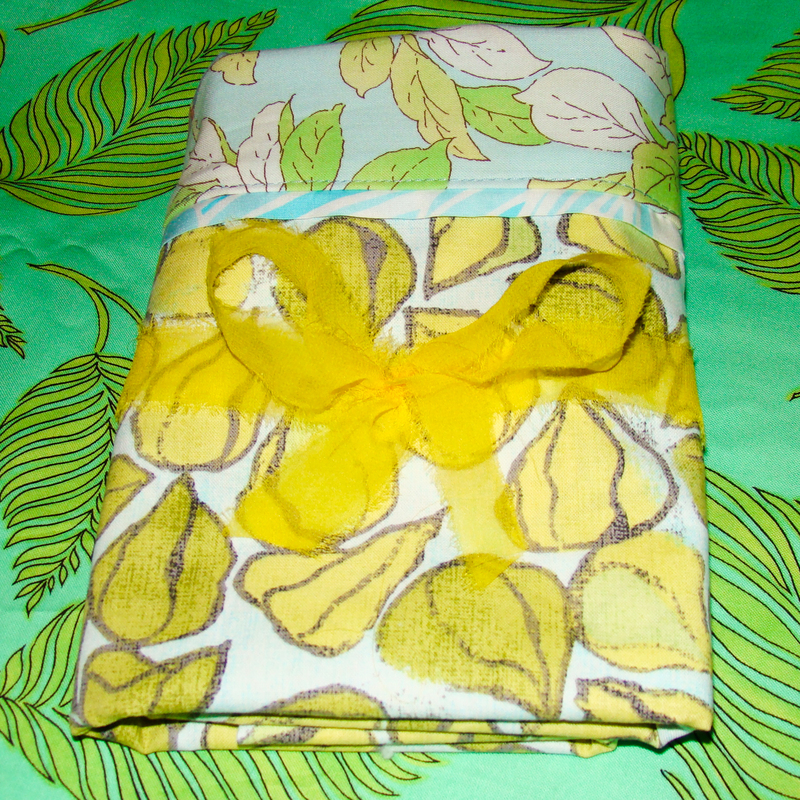 I recommend that cotton prints be machine washed in warm water and tumbled dry on warm, and then pressed smooth with an iron on the cotton setting. 3. Place main fabric (A) right-side-up, design facing you. 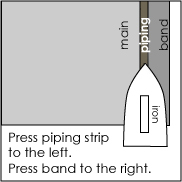 On the right-hand edge (which will be a 45″ edge), layer the piping strip (B) and then the band (C), all raw edges aligned on the right. 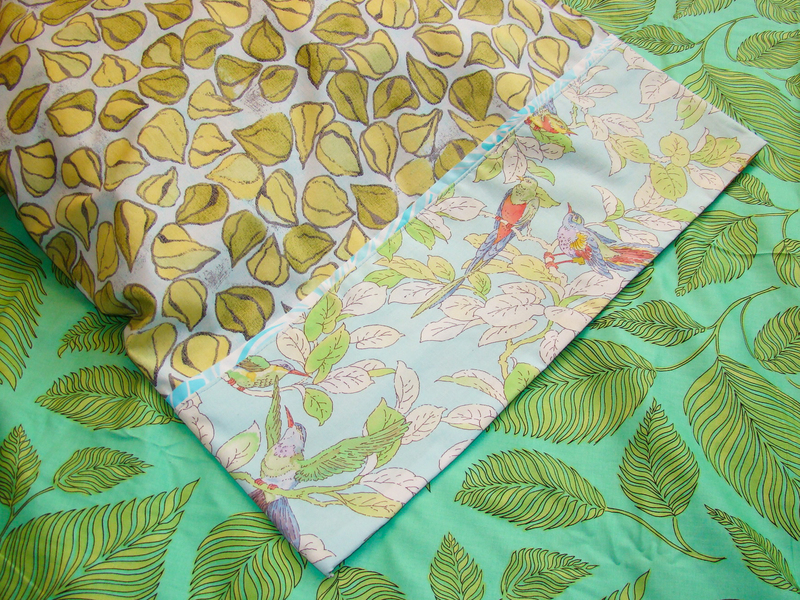 Stitch together using a 1/2″ seam allowance, then serge if you wish. If you would like a no-serge pillowcase method, check out this video. 6. 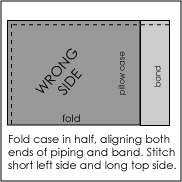 Fold pillowcase in half, right sides together, wrong sides out, aligning both ends of piping and band. Edges should form squared corners. 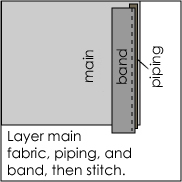 Starting at top right corner of picture below (band edge / pillowcase opening), stitch and back-stitch, then stitch long edge, pivot at corner , and stitch short edge. Serge if you desire. 7. 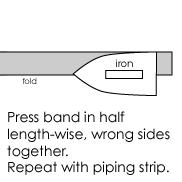 Iron seams flat, turn pillowcase right side out, and press and steam all seams flat/smooth from outside. You may want to launder once more before using, to soften it up a little. Next time you are looking for a very personal and meaningful gift to give, I hope you will think of this tutorial and give the gift of sweet dreams! Ever wonder what it’s like to be a roll of cloth at Michael Levine’s? Well here’s a behind the scenes view of our operations! 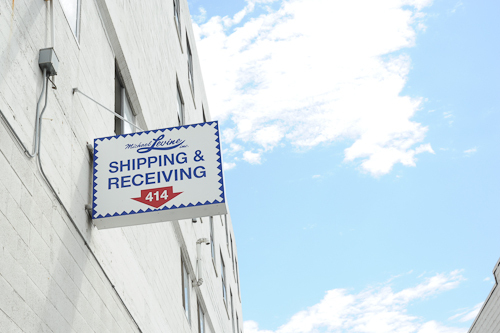 Nearly every day, shipments of new fabrics arrive by truckloads at our warehouse, located right next door to the main store. 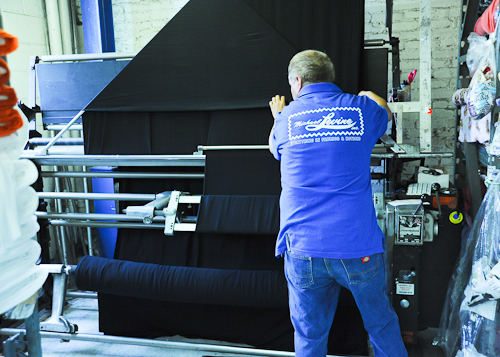 Some fabrics, as shown above, arrive on a double-fold board. But others, shown below, need to be converted by warehouse staff from large heavy rolls to a more easily-handled, double fold board. 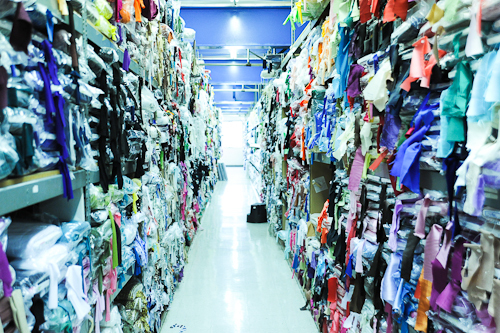 The fabrics are then stickered with prices and other unique information used to track inventory and costs. 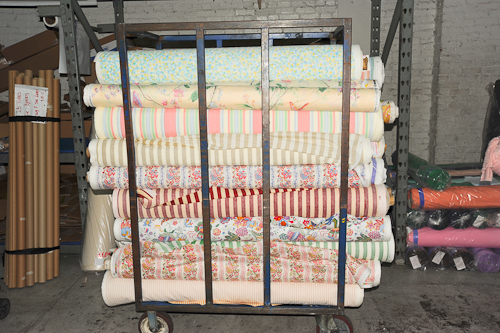 Some fabrics are then moved on carts to one of three floors of our expansive warehouse, and down a specific aisle, to a specific shelf. 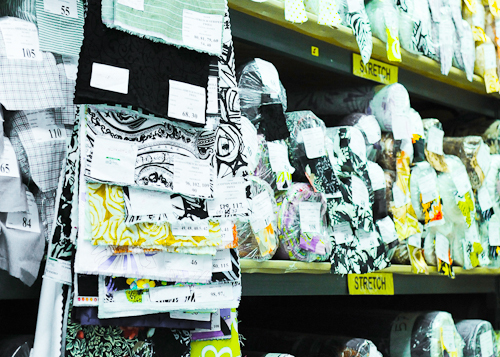 Fabrics are organized by the category and department of our store to which they belong, and then further organized and stacked by color and price. The warehouse is a great place to visit when a customer can’t find what they need in store, or if they need a larger quantity than what’s on display. One of our staff will certainly be happy to bring you here if need be! Upon arrival at our stores, one of our floor clerks will take the new materials to the appropriate shelf, making sure that price labels are attached and that the rolls are not too heavy to handle. The fabrics are now available for sale! 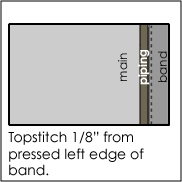 The last step before a material becomes a project is when it gets cut. Yardage is measured and cut at one of five tables and written up on a ticket for sale. 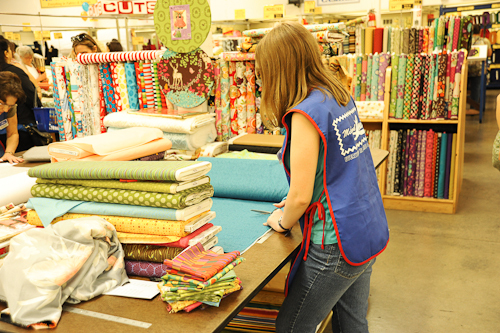 This is where customers interact with our friendly staff and exchange ideas and sewing tips with one another. 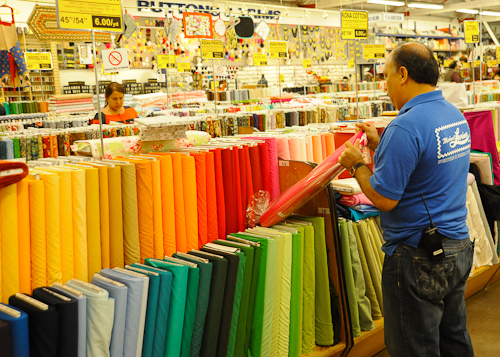 We hope that next time you visit our stores or website, www.LowPriceFabric.com, you’ll take a closer look and enjoy knowing what goes into the daily operations of Michael Levine! Oh…and if you’re wondering what happens to those last little end pieces when we finish a roll of fabric, be sure to read the next blog entry about our discounted remnant shop, the Loft!